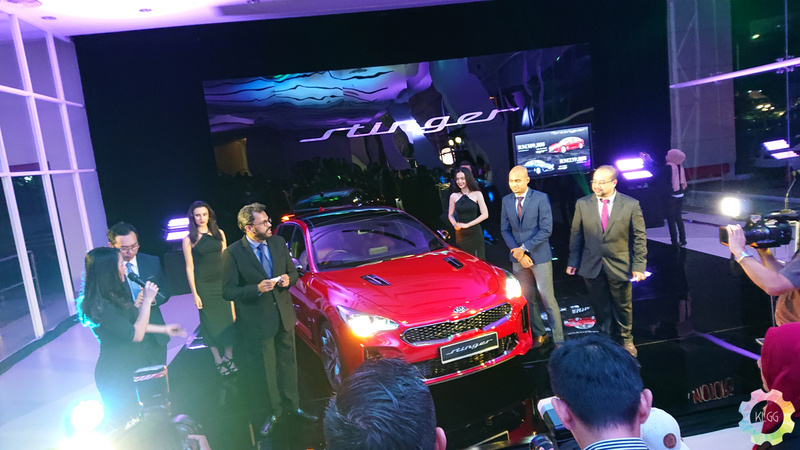 Naza Kia Malaysia has officially launched the long-anticipated Kia Stinger, the company’s faster automobile yet with the ambition to be a true Gran Turismo with the combination of high performance and comfort. 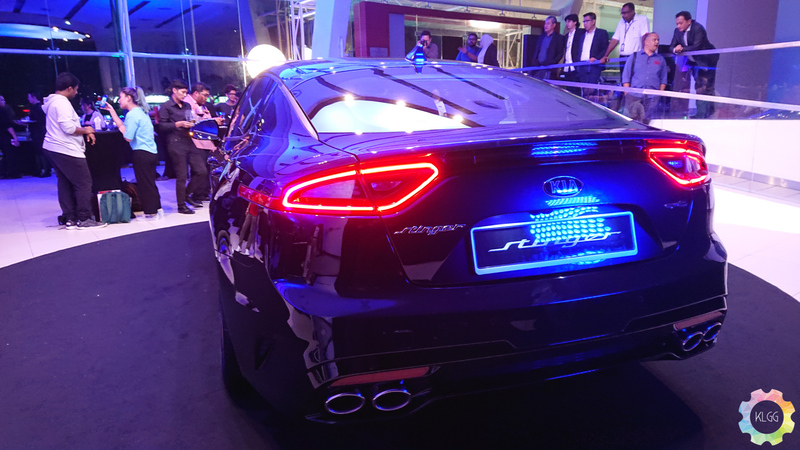 The Stinger is made to pull attention with its roofline that sits at a perfect angle to provide aerodynamics to airflow over the bonnet, roof and off the back of the car. In addition to that, the wide front and rear track, along with the recessed contours along the doors enhance the visual power of the Stinger. 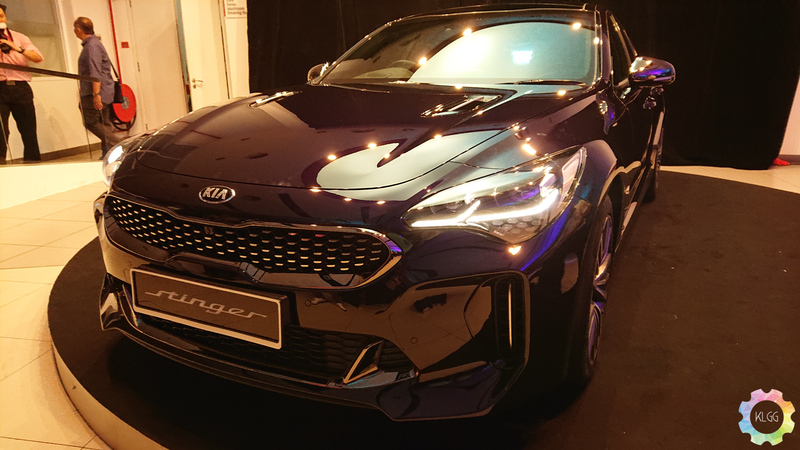 To complete its aggressive outlook, Kia has added a tiger-nose grille at the front between the pair of full LED headlamps and honeycomb-shaped, dark-chrome, hot-stamped patterns added to the back base to give it, its premium look. One of the unique features that give the Stinger its performance is the Vehicle Dynamic Control which can monitor the driver’s inputs and road conditions to automatically distribute power in real-time based on the driving situation. Other than that, it also comes with Electronically-Controlled Suspensions and Rack-mounted Moto-Driven Power steering. Safety features include Hill-Start Assist Control, Antilock Braking System, Traction Control System and Cornering Brake Control, Blind-Spot Collision Warning, Rear Cross-Traffic Collision Warning and 7 airbags. All these features have awarded the Stinger the highest rating of 5 Starts from Euro NCAP. 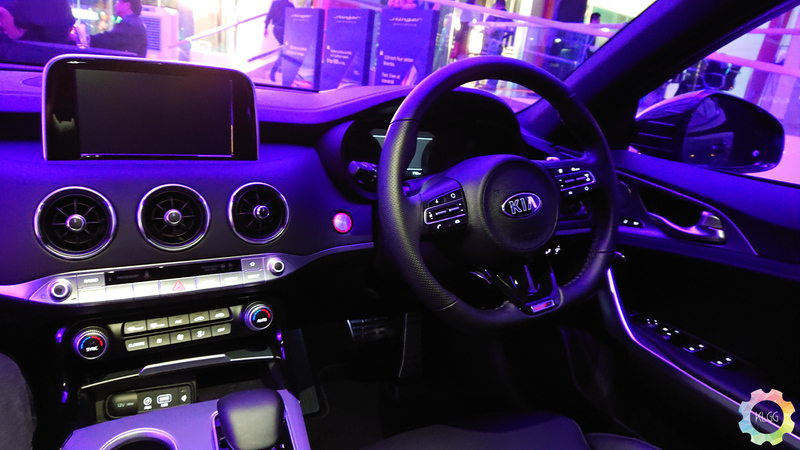 Kia has added a great amount of in-car comforts, the center section is split into two specific areas, the infotainments system and 8-inch floating navigation touchscreen integrated with Bluetooth, Apple CarPlay and Android Auto, with the climate and ventilation control position just below that. In between the gauges is the 7-inch TFT LCD screen which displays information like cornering, G-Forces, lap times and engine-oil temperature. The comfort is further enhanced with the 15 Harman Kardon speakers that are position all around the cabin of the car. Other than that, there is also the Heads-Up Display, Dynamic Bending Light, Around View with Driving Rear-View Monitor, Integrated Memory System from the driver’s seat, a wireless smartphone charger and electrochromic side mirrors to control the glare of oncoming headlights. 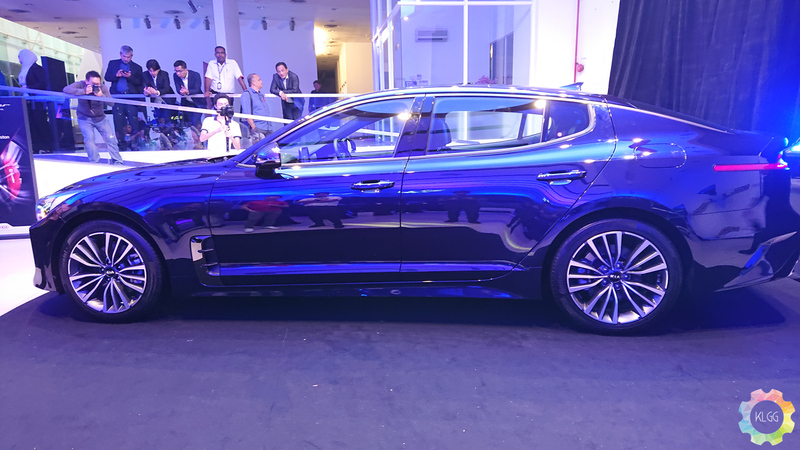 The Kia Stinger comes with four exterior colours of HiChroma Red, Deep Chroma Blue, Panthera Metal and Aurora Black. For the interior, the 3.3-litre model comes with a red colour package, while the 2.0-litre comes in a flush black one-tone. The 2.0 and 3.3-litres models will be priced at RM239,888 and RM209,888 respectively.